The New LEVEL Eibach Redline Special Edition Springs give the true low stance the Fiesta Mk8 owner needs. This set up produced by Eibach with Pumaspeed recommendations will lower the car an extra 10-15mm at the rear over the normal Eibach springs to give that perfect squat stance that all other previous spring sets do not. Why have Eibach not had these before? All Eibach springs are designed and produced in Germany to meet strict TUV rules, these EC TUV rules dictate that the car must be capable of being fully loaded without causing problems before TUV approval will be fully given. Therefore all Eibach springs are designed to sit a little higher than normal at the rear. So what do they lower the car ? The front of the car is lowered by 30-35mm to ensure perfect ground clearance whilst entering speed bumps as we found that -50mm springs like the Eibach Sportline and the H&R were too low and had a banging and crashing effect hitting the bump stops. The rear of the car is lowered by 35mm giving the perfect rear squat stance. 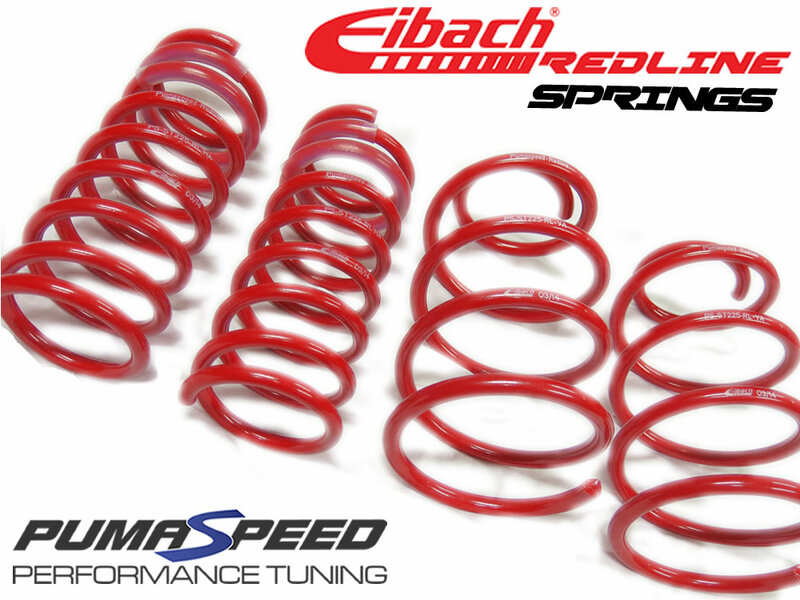 The spring rates have been engineered slightly higher by Eibach to create the perfect driving experience! The Pumaspeed Workshop team are ready to fit the *MK8OC* REDLINE Fiesta Mk8 Special Edition Springs by Eibach in our Head Office located here. We estimate the labour time to be approximately 1.75 hour(s) costing £136.50 inc VAT. Therefore making parts and labour a total cost £286.49 (inc. VAT). Pumaspeed have a specialist distribution team that can dispatch the *MK8OC* REDLINE Fiesta Mk8 Special Edition Springs by Eibach to any destination worldwide.